If you or your partner suffer from snoring, you don’t need us to tell you how annoying it is. To document National Stop Snoring Week, we’ve looked at several gadgets which claim that they can stop or reduce snoring. 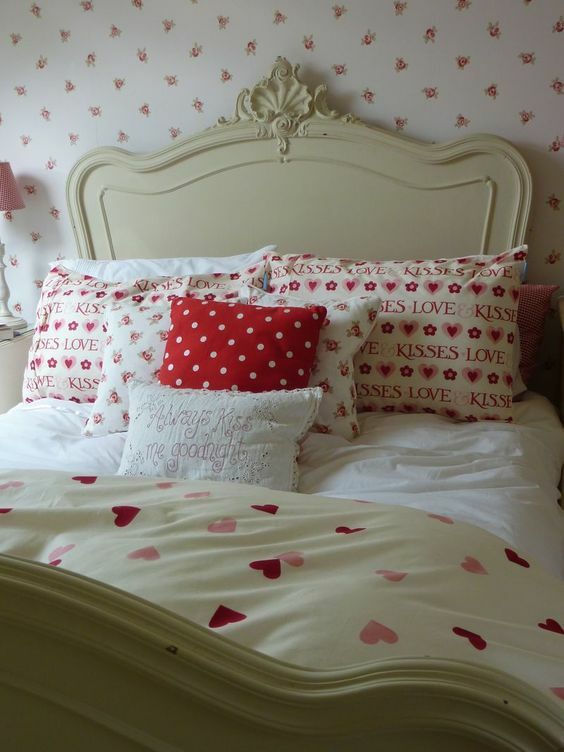 We’ve listed our favourites below, complete with their sale price as well as links to purchase. 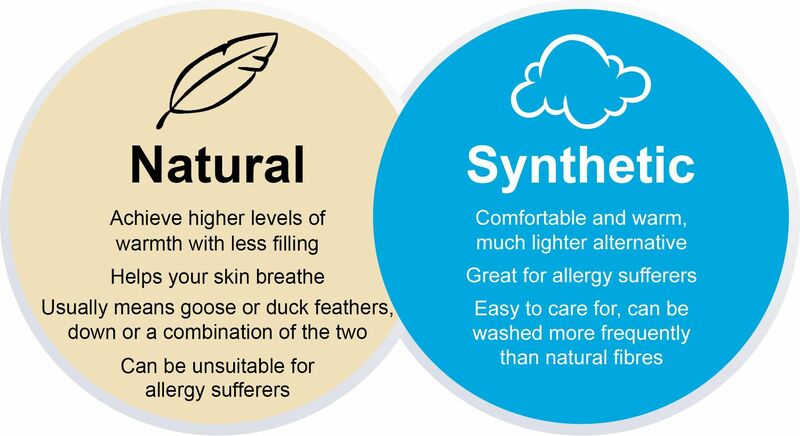 SnoreVents has been scientifically designed to maximise airflow through the nasal passage which stops snoring altogether. 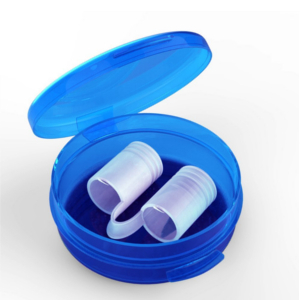 Only the softest and enhanced medical grade silicon is used to make SnoreVents, SnoreVents® claim this solution makes it the most comfortable anti-storing device on the market. At the time of writing, the device has 676 customer reviews on Amazon, boasting a solid 4 stars of customer recommendation. Silent Angel is scientifically designed to gently expand your nostrils for maximum air flow, which in turn improves your nose breathing during sleep and prevents snoring. With 237 customer reviews and four stars of customer recommendation, the Silent Angel Nasal Dilator is not to be sniffed at. The NHS recommended SnoreWizard mouthpiece is a simple, natural and non-medicated snoring device. Effective immediately, the SnoreWizard moves the lower jaw forward slightly and holds the mouth slightly open. 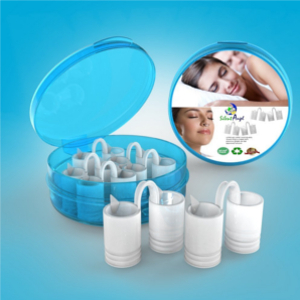 This improves the airflow at the back of the throat and eliminates snoring. The 109 customer reviews, three and a half stars of customer recommendations, and an NHS recommendation, certainly can’t be ignored. 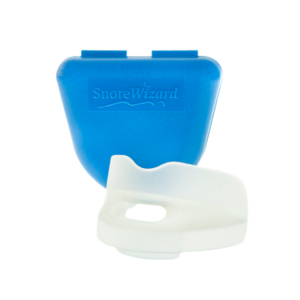 The SnoreWizard mouthpiece provides a non-nasal option for snoring prevention. 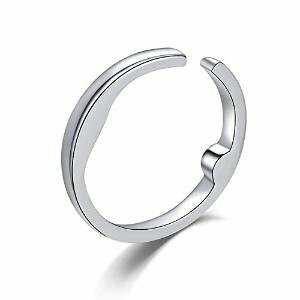 The Acusnore Anti-Snore Ring uses ancient Chinese medicine of acupuncture and acupressure to prevent or significantly reduce snoring. The unique device uses three acupressure points. The ancient theory brings about superior benefits not only eliminating snoring but by working in harmony with your body’s biorhythms. Boasting 374 customer reviews and three and a half stars of customer recommendations, the Acusnore Anti-Snore Ring might be worth a look if you want a natural night’s sleep. 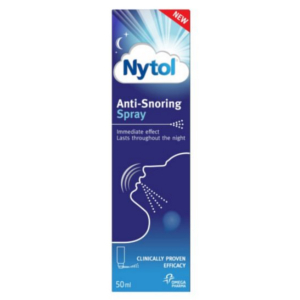 If nasal objects or mouthpieces aren’t for you, perhaps the Nytol Anti-Snoring Throat Spray might be an option. With clinically proven efficacy, the throat spray lasts through the night and provides immediate action. With 201 customer reviews and three stars of customer recommendations, the Nytol throat spray is a solid choice to prevent snoring. Overall, mouthpieces are generally regarded as the most efficient gadgets in terms of reducing snoring, for that reasoning we would initially recommend a mouthpiece. Each gadget reduces snoring in a different manner, so we recommend visiting your GP to determine the cause of your snoring before purchasing one of the gadgets.